Playing as a youth with both Coventry and Bolton, Tope was a prolific goalscorer at U19 international level before he made his professional debut for Bolton in 2008. He spent the next four years with the English Premier League until the club's relegation in 2012. During his time at the Reebok Stadium, he represented England at U20 level, but made just three league appearances for Bolton and was sent out on loan to Swindon, Rochdale (twice), Shrewsbury and Chesterfield. At age 22, he moved to Portugal where he signed with Rio Ave for the 2012-13 season. The following year he moved to Bury. 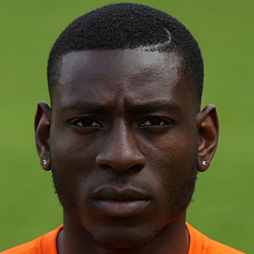 Unable to break into the first team, Tope was sent on loan to Plymouth Argyle on two separate occasions, either side of a hamstring injury. At the end of the 2013-14 season, he was released and in July he signed a three year deal with SPFL Premiership side Kilmarnock. At Rugby Park, the winger enjoyed regular first team action and hit form as a goalscorer, netting nine times in his first season for Killie. Hampered by injury in his second season, he was released at the end of the 2015-16 campaign, and signed for United at the start of the following pre-season. Tope was born on this date in Birmingham, England. Dundee United made one enforced change from the previous week's victory over Dunfermline, with Jamie Robson coming in for the suspended Paul Dixon. There was almost an early breakthrough for United. 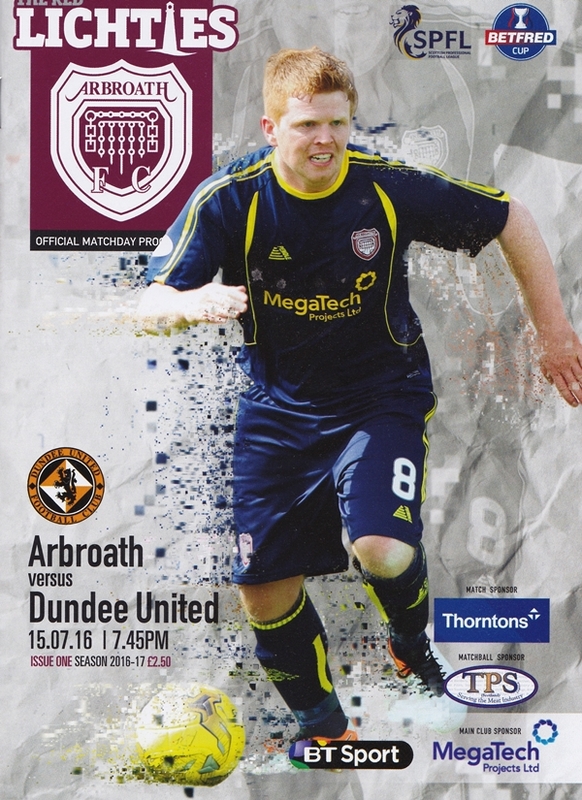 A Blair Spittal shot was deflected for a corner and Mark Durnan almost squeezed home Scott Fraser’s delivery. At the other end a late challenge by Jamie Robson on Rab Crawford earned the United full-back a lecture from the ref and Gary Harkins was on the end of the resultant free-kick, but his volley from close range was blocked. And in the aftermath, Charlie Telfer played the played the ball up to Tope Obadeyi who embarked on a run of over half the length of the pitch before rounding the keeper and steering the ball in form an acute angle for the opener. The home side reacted very positively to this setback and with Harkins and Nicky Devlin, in particular, causing problems. On 14 minutes only Lewis Toshney’s block on a Harkins shot prevented an equaliser, and a minute later, Cairney fired inches over. Having survived that spell of intense pressure, the game settled down, but Ayr continued to press forward with United relying on hitting on the counter attack. A mazy Alan Forest run almost unlocked the Tannadice rearguard, but a combination of Telfer and Robson eventually crowded him on. Eight minutes from the interval, the United goal had an amazing escape. Right-back Nicky Devlin drove in a low cross which Crawford met almost right on the line, only for Toshney to somehow divert the ball up and over the bar. The half came to a close with United having to defend deeply to hang on to their narrow advantage. In freezing fog, County started positively with a shot from the inside of the six yard box but the linesman was quick to put his flag up for offside. County went on to win the first corner of the match in the fifth minute of the game. They took advantage of this as Woods crossed it in for an unmarked Chris Routis to score from the half volley. United fired back eight minutes later when Obadeyi crossed it in to Tony Andreu who hit the back of the net from the first touch. In the fourteenth minute of the game Telfer was given a yellow card for fouling ex United player Ryan Dow on the edge of the box. Once again County took advantage from the set piece and, after Bell palmed away Schalke’s direct effort, County’s captain Paul Quinn took them ahead once again. As the first twenty minutes drew to an end, weather conditions on the pitch began to worsen further and the Tangerine Army chanted about how the freezing fog was stopping them from seeing the ball. In the 27th minute of the game Tim Chow further increased the hosts’ lead from inside the box making it 3-1. United’s defence seemed to crumble in the 29th minute as a series of confident passes from County’s attack resulted in another goal from Liam Boyce. In first half stoppage time, Tony Andreu took a strike which bounced off the left post and into the bottom right corner to the delight of the United fans making it 4 – 2.